Founded in 1902, British American Tobacco (BAT) is the world’s second-largest tobacco group, with brands sold in more than 180 countries. BAT employs almost 60,000 people worldwide and manufactures cigarettes in 39 countries. BAT is the only international tobacco group with a significant interest in tobacco leaf growing, working with over 100,000 directly contracted farmers and covering some 400,000 hectares, mostly in developing countries. BAT has worked with Earthwatch since the early 1990s, providing major support to our capacity-building and employee fellowship programs. 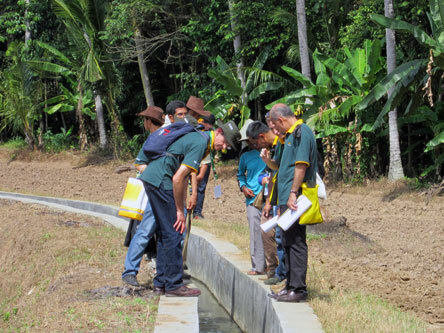 Earthwatch trains British American Tobacco staff to assess Biodiversity Risks and Opportunities across its agricultural operations. BAT’s supply chain relies on sustainable agriculture and farming communities, and the group has had long-term involvement in agricultural extension (the application of scientific research and new knowledge to agricultural practices through farmer education). BAT currently provides direct agronomy support (applying the science of soil management and crop production) to around 160,000 growers in 19 countries, covering all aspects of environmental best practice. Most of these farmers grow tobacco on a small scale, alongside or in rotation with food crops, in mixed farming landscapes. In 2001 Earthwatch, BAT, and several other conservation organizations established the BAT Biodiversity Partnership. 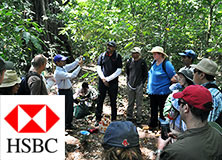 Currently the Partnership consists of BAT, Earthwatch, Fauna & Flora International, and the Tropical Biology Association. The aim was to introduce biodiversity awareness into the business as well as to start to address biodiversity impacts and management within agricultural ecosystems. Initially the Partnership focused on local implementation of the Convention on Biological Diversity and gaining an understanding of BAT’s impacts across its leaf-growing operations. The NGO Partners delivered significant conservation outcomes through their own initiatives as well as laying the groundwork for joint projects. Between 2001 and 2010, BAT helped 205 young scientists and educators gain skills and experience working on Earthwatch projects in Africa, Southeast Asia, and Belarus, and 137 BAT staff joined scientists on Earthwatch projects around the world. In Term 2 (2006–2010), the Partnership developed a more integrated program to help BAT’s commitment to embed biodiversity conservation principles into its business operations, and a range of tools to drive change. This included development of the Biodiversity Risk & Opportunity Assessment (BROA) Tool and support for its rollout across BAT’s operations. The direction for this journey was set by the British American Tobacco Biodiversity Statement of 2006. The Partnership continued to support important conservation projects around the world, in line with the NGO partners’ missions. Since 2011 the Partnership has had a sharper focus on biodiversity and ecosystem services in mixed agricultural landscapes and the ecosystems on which they depend. In addition to joint “operational” projects such as BROA, Earthwatch is currently implementing two “aligned” research projects focused on agricultural landscapes in the Indian Himalaya and the Atlantic rainforest of Brazil. The Partnership is funded by £1.5 million per year split among the four partners (approximately £300 thousand per year for Earthwatch). The Partnership supports two pieces of high-quality research in strategic locations for Earthwatch (India and Brazil) that will make important contributions to the understanding of certain aspects of the ecology of these landscapes. This understanding will in turn help inform policy and management practices in those regions. 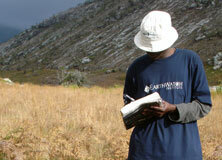 Learning by doing in Malawi: On the Mount Mulanje Ecological Monitoring project. 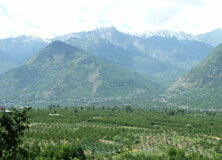 The Indian Himalaya: One of the sites where we explore biodiversity and ecosystem services in agricultural landscapes.